All we want for Xmas is Pilates bodies! We have to confess…it’s been almost a week since our last workout and our abs still hurt! Last Saturday, we kicked another Chi style birthday off right with our next Lululemon “12 Days of OM” event at Superior Pilates. Before we got started, we shared a nervous conversation with a fellow classmate about the reformers and their semi torturous facades. Our fears were soon assuaged by Kristen Wolf, our teacher, owner and founder of Superior Pilates as she explained that we wouldn’t tackle the machines until we had the basics down. Finally, we snuggled into the mats and tightened our tummies in anticipation. So what’s the hype about this workout? Pilates (pronounced puh-LAH-teez) helps build flexibility, muscle strength, and body awareness and involves the legs, abdomen, arms, hips, buttocks and lower back. This workout strengthens and stretches bulky muscles as well as tones and balances the smaller muscle groups. Need more info? Click here on Wikipedia. During our 1 hour class, Kristen worked out every part of the body. We tried our hand at the more traditional moves like “the hundred” exercise and adventured into some new territory with the use of spring-and-pulley apparatus that pushed our triceps and calves to the sculpting limits. The small class size allowed Kristen to give personal attention to each student. 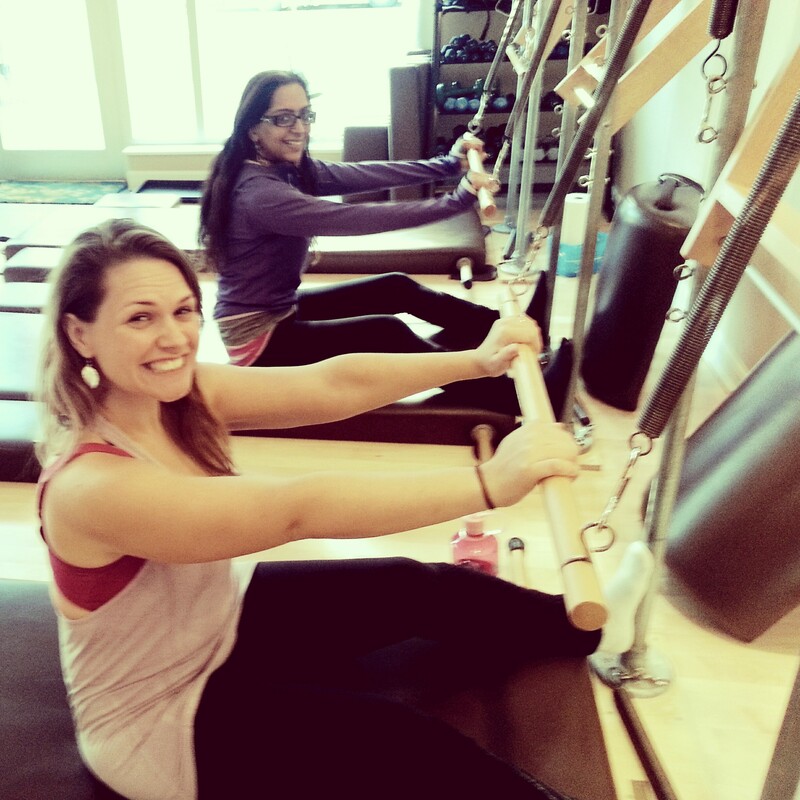 After we had exhausted every muscle fiber, we chatted it up with Kristen about her journey into pilates. 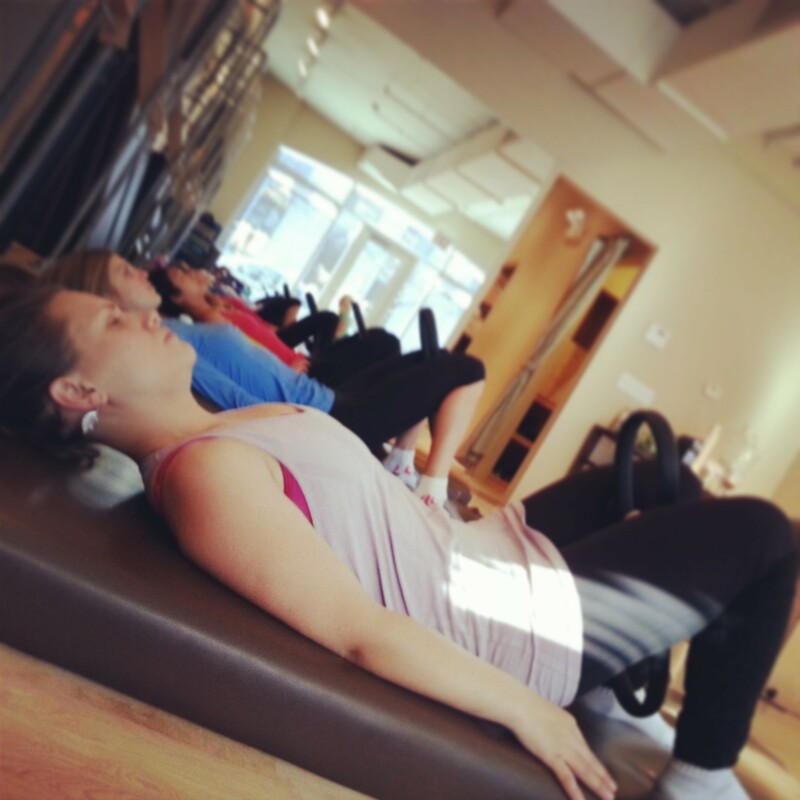 Kristen suffered whiplash from a car accident and began pilates as a tool for rehabilitation. She ended up loving it so much that she followed up with professional pilates training and eventually purchased the cozy and sunny studio space. At the end of our class, Molly from Lululemon raffled off a sweet black tank with watercolor style flowers…and guess who won? The bday girl!! Hurry up and get in on the holiday fun at the next 12 Days of OM or take the Pilates Plunge with Kristen at Superior Pilates. I love Pilates!!! I’ve tried classes at a few places in Chicago, so far my favorite has been on the reformer-type machines at Body R+D in Lakeview. Holy crap is that an awesome workout!